An elegant addition to any dressing table, this pretty glass jewellery box is adorned with butterflies and flowers for an irresistible botanical vibe. A lovely gift. 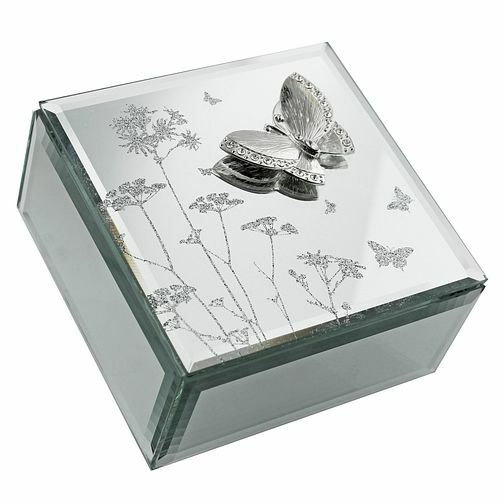 Glass Butterfly & Flowers Jewellery Box is rated 5.0 out of 5 by 3. Rated 5 out of 5 by Anonymous from Beautiful Got this for my mum for mother’s day and she loved it! Beautifully made and perfect for keeping small pieces tucked away safely.